Oh no, the “M” word. In all my years in PR, I’ve essentially been able to dodge the “M” word. How? Easy. By hiding behind media clippings, fancy media reports, shares, “likes,” tweets and elaborate, but successful, events. If this is you, it’s time to come out, come out wherever you are. Not only is it time to stop dodging; it’s time to start measuring. Given the sheer amount of data that’s available to us nowadays, PR pros have ample opportunity to quantify their efforts and show executives what’s working and what’s not. As hard as it is for me to succumb to, it’s also high time that we get comfortable showing how our efforts affect the bottom line. Data, where have you been my whole life? By creating key performance indicators (KPIs) and specific metrics tied to “awareness,” I now have even more ammunition to communicate the value of public relations to organizational leaders. For the first time, our PR team has a dashboard which provides a monthly analysis of not just media hits and news releases, but things like tone and message quality. What’s more, we use tagging links and Google Analytics to track conversions tied to our press releases, proving that PR does indeed help drive company revenue. To say that quantifying PR efforts beyond the typical vanity metrics makes me uneasy would be a huge understatement, but embracing it has enlarged my perspective on the power of analytics and given me a newfound love for data. There are a plethora of dashboard tools and tips out there to get you started. For instance, check out Dashboard Junkie or the PR Measurement solution offered by Meltwater. Warning, once you’ve been bitten by the PR data bug, you’ll likely want to track any and everything. However, it’s best to start small, be strategic and continually iterate. 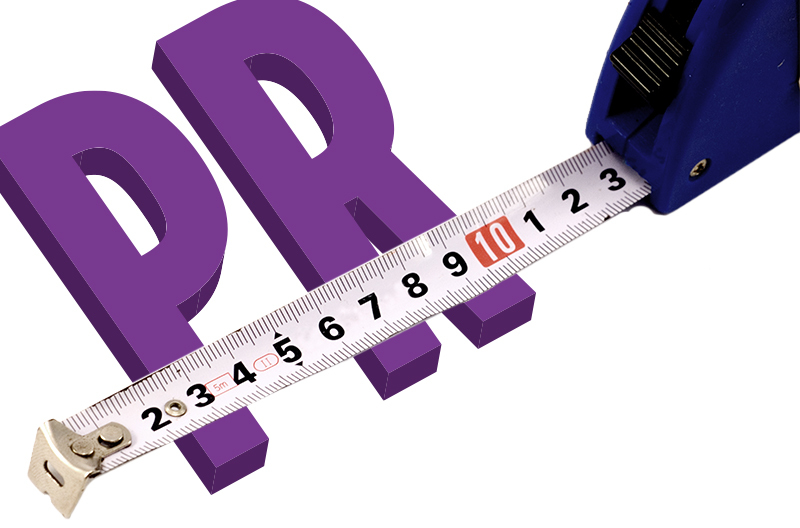 Already measuring your PR efforts and showing value to your execs? Share your tips and tools with me in the comments below! This entry was posted in Tips & Advice and tagged Analytics, Bottom Line, Dashboard, Data, Indicators, Measure, Media Reports, Metrics, Performance, Revenue, ROI, Strategies, Strategy, Track, Value by pprablog. Bookmark the permalink.